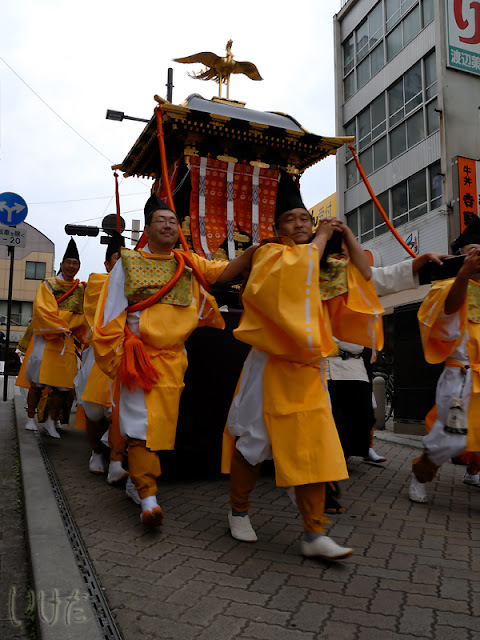 Today and tomorrow (Oct 30 - 31) our esteemed Futaarayama shrine is holding its annual Kikusui festival. But of course, today the weather shitted upon itself (typhoon number 14) and we had no chance to go to downtown Utsunomiya to check out what was going on. If anything. 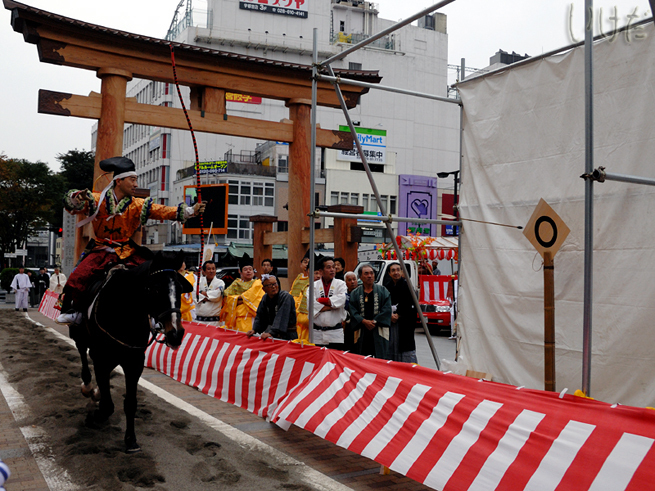 Yes, traditional archery on horseback right in front of the shrine, across the street from Parco (department store). Those of you who are familiar with Futaara are probably scratching their heads. And I don't blame you. It's hard to fathom just WHERE this yabusame is supposed to be held. Answer: on that short stretch of sidewalk between the torii and the steps leading to the shrine. There's just one target and the whole thing is very anti-climactic. But hey, it means Futaara can say it has yabusame and stuff. Good for them. Yeah, you can't have a festival without a mikoshi procession. I don't know how some other towns in Japan can put up with such blatant godlessness. Can you believe that there is no mikoshi parade at the annual Takamatsu City Festival? Blasphemy! 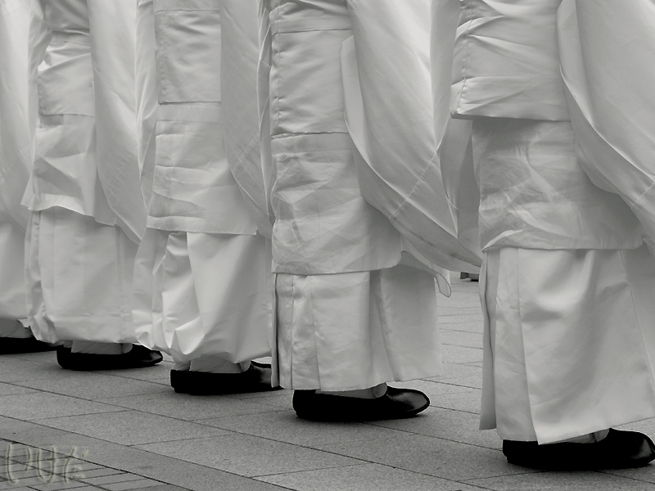 During Kikusui there is a small, very dignified procession on both days. The deity enshrined at Futaara - Toyoki iribiko no mikoto is transfered into the mikoshi and then taken for a walk around the central part of the city. Presumably to survey and bless his area. Nosey god, if you ask me. 3. Some boring, useless ritual ceremonies to make it appear that the priests are actually doing something. So yeah, that's Kikusui for you. If the weather is less sucky tomorrow, and I manage to get up at a decent hour, we might go down to the shrine to investigate if anything exciting is happening. Photos are from last year's festival.